Guitarist Bill Frisell is joined in this closing weekend performance at the Savannah Music Festival by bassist Tony Scherr and drummer Kenny Wollesen. 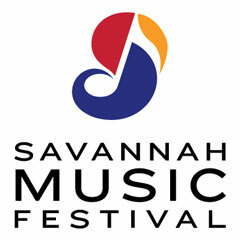 In this episode, we listen to highlights from Henry Butler's solo performance at the Charles H. Morris Center during the 2010 Savannah Music Festival. In this episode, we listen to 2010 Savannah Music Festival performances of two great 19th century sonatas by Mendelssohn and Tchaikovsky. Listen to Sarah Jarosz playing with violinist Alex Hargreaves and cellist Nathaniel Smith. This episode is a sneak preview for GPB listeners of artists returning to Savannah in 2011. In this episode, we listen to a Savannah performance of Brahms 2nd string sextet, composed in 1865. This episode features the music of Brahms and Mendelssohn, performed at the Savannah Music Festival.